In this ConvertKit review, I found that if you're looking for an email marketing service that let's you get more out of your list by categorizing them based on their interests, automating sequences so that you get passive ROI and grow your list with free landing pages, then ConvertKit is your thing. It is affordable and perfect for every blogger & content creator may that be a momblogger or fashion & lifestyle blogger or a food blogger for that matter. ConvertKit is hands down one of the few best email marketing software that I can rely on. ConvertKit isn’t a jack of all trades and master of none, it is a specifically crafted email service for bloggers, podcasters and creators. In this ConvertKit review, I’ll walk you through the complete review of it, including the good, the bad and the ugly. ConvertKit is jam-packed with features you need like interest-based categorization of subscribers etc. The features are best catered towards bloggers, course creators etc, but if you’re an advanced large media house like HuffPo, I guess you’d prefer something like Infusionsoft or Ontraport. ConvertKit’s pricing is a bit higher as compared to services like MailChimp. Having said that, the ROI with ConvertKit as compared to these cheap email marketing service providers is quite high. If you’ve got the budget, consider investing in something that can take your audience to the next level. ConvertKit’s support is as top notch as the service itself. Live chat, faster email responses are something I expected and they delivered. Did you know that out of all promotion methods, email delivers the highest ROI for marketers? That’s a powerful statistic – “the highest return on investment”. I mean – it’s tough to argue with that – email flat out makes you money. But if you want to make that money, you need an email marketing tool that sets you up for success. ConvertKit might just be that tool for you. It’s an email marketing tool built for professional bloggers that includes powerful automation and personalization functionality to help you get the most out of your email marketing efforts. And in this ConvertKit review, I hope to show you why ConvertKit is the best all-in-one email solution for you. So this is a ConvertKit review, not a tutorial on email marketing. But I still want to lead with what goes into effective email marketing because it helps demonstrate how ConvertKit is a true “all-in-one” email marketing solution for professional bloggers (or anyone else, for that matter!). ConvertKit is one of the most popular email marketing service aimed towards professional bloggers and creators. It was founded by Nathan Barry who is a blogger/designer himself so he tried to create something that isn’t for everybody. 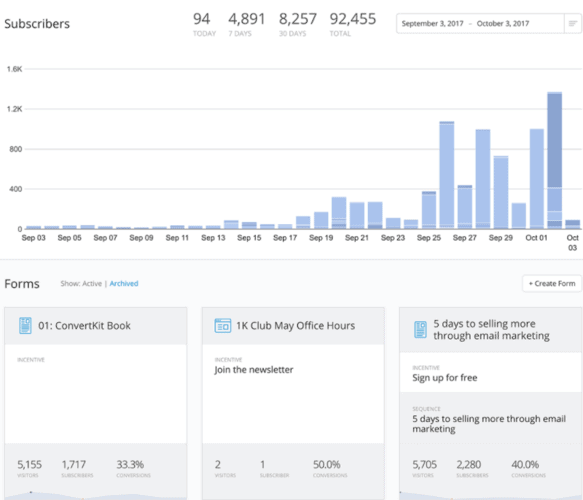 So, ConvertKit email marketing service is catered towards bloggers and podcasters/course sellers who want to do more with list building at an affordable price. 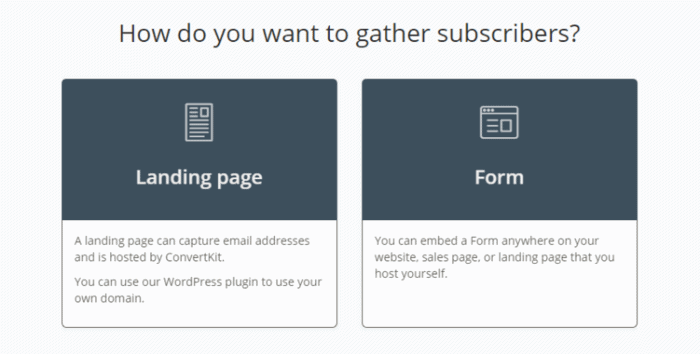 ConvertKit gives you a flexible way to create your own high-converting forms or landing pages, as well as a free WordPress plugin to help you easily display both of those on your WordPress site. Creating a dedicated landing page – yup, ConvertKit can even help you build landing pages! You wouldn’t need an extra landing page builder like Leadpages for that matter! Basically, no matter how you want to build your email list, ConvertKit can help you do it without you needing to pay for some third-party service. Let’s say you want to create a regular form to use on your site. Do you have options? That middle option is especially attractive because it let’s you fire a content upgrade for each of your blog post. Content upgrades convert like crazy because readers aren’t interested in giving their email IDs for nothing. You have to offer them something valuable (maybe a PDF version of the post, some extra tips that your blog post didn’t cover, a spreadsheet showing your work schedule etc). Being able to implement such a successful strategy right in ConvertKit is a massive bonus. Brian Dean implemented the same content upgrade strategy and boosted his optin conversion rate by over 785%. That’s a great number to look for when you want to build a list! When you’re done, you can display the form right away on your WordPress site via the ConvertKit plugin. No need to mess around with code! 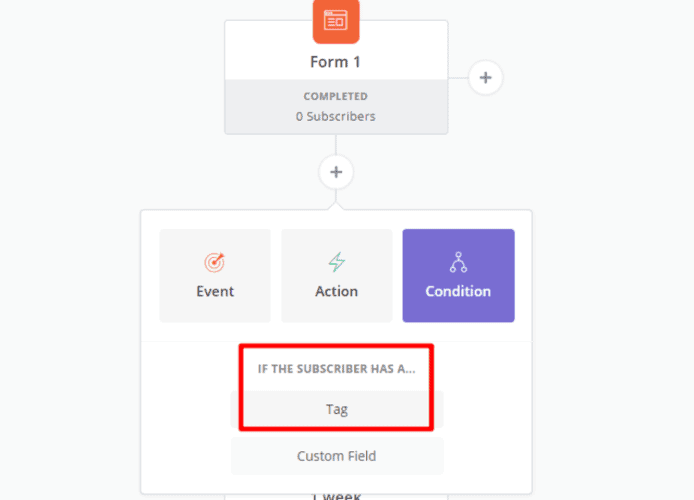 One of the biggest email marketing mistake that many bloggers make is, showing the same content upgrade and optin forms even if your reader is already subscribed. This not only creates a bad user-experience but also makes you lose out on the opportunity to push your subscriber a step forward in your funnel (may that be an upsell or showing some other forms of a different offer). show them a new offer or an affiliate banner (or upsell your product) based on the page they are on. Ok, so you’ve built some subscriber-grabbing opt-in forms or landing pages with ConvertKit’s built-in tools. Now it’s time to start sending emails, right? Every single email marketing service lets you send emails to your lists. But not every email marketing service lets you send smart emails to your list. That’s what helps differentiate ConvertKit from its competition. Below are some of the cool ways in which ConvertKit goes above and beyond to help make your email marketing efforts successful. Emails with a personalized subject line are 26% more likely to be opened and have a 10% improvement with conversions. That means if your email marketing service doesn’t make it easy for you to personalize your emails, you’re leaving traffic and revenue on the table. ConvertKit puts email personalization on steroids with its easy-to-use tagging system. I hear you say, “But Swadhin, every email marketing service provider has that, what’s so cool about ConvertKit? What are tags in ConvertKit? With tags, you can make categorize and identify your subscribers based on their interests, their buying intent, what type of blog posts they like etc. How to use tags in Convertkit? With tags in ConvertKit, you can automagically select which content, within an email, a subscriber will see and hat they won’t! This means, you can show different content to different users, in a single email, based on their interests. The image below is a live example of that! Or, you could send different content to VIP subscribers. Or you could do any number of other cool personalization tactics. Another feature that really sets ConvertKit apart is how easy it makes it to set up sequences and automation. What is a sequence in ConvertKit? 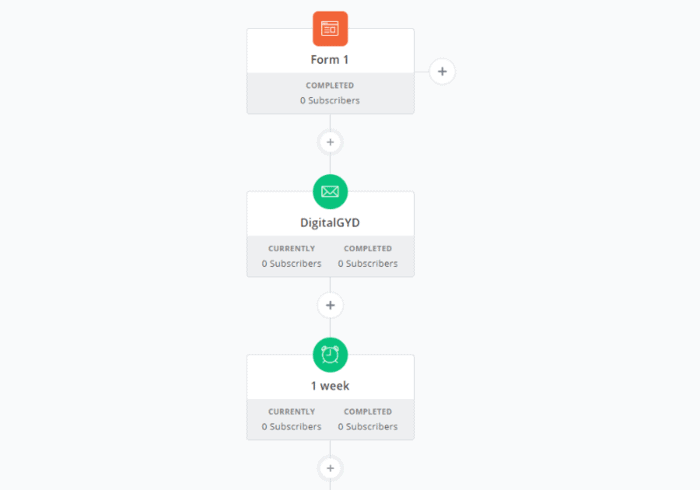 A sequence in ConvertKit is a series of emails (previously written) aimed at automatic delivery at the time when a subscriber first signs up or gets added to a sequence by another action (maybe a purchase they did or another CTA they clicked). Let’s start with email sequences – if you’re not familiar, email sequences are an incredibly effective way to connect with your list. Once you set them up, they’re pretty hands-off, and they convert like crazy in comparison to one-off emails. Combined with automation – which I’ll discuss next – this basically lets you send an entire series of targeted emails without needing to lift a finger. You can put everything on autopilot so that you’re sending out subscriber-nurturing emails while sitting on the beach with a pina colada (ok, more likely, while working on something else!). ConvertKit sequences are automated email campaigns that are sent to the subsribers based on the list they subscribed to or a CTA they clicked in your emails or your blog. ConvertKit sequences are what other email service providers call autoresponders. Automated emails get 119% more clicks than broadcast emails. Automated emails get 119% higher clicks than broadcast emails! And… ConvertKit helps you do just that, easily. Automated emails are emails sent based on things a user “triggers” rather than an arbitrary date and time. And they used to be the exclusive domain of big retailers and other enterprises. But now, ConvertKit can bring the power of email automation to your blog in a surprisingly simple interface. Rather than needing to be a code genius, ConvertKit gives you an easy visual editor to set up email automation for your site. This feature is so powerful. Whereas sequences let you automate one campaign, the automation functionality lets you automate your entire email marketing efforts. You could map out 6-month’s worth of emails and send them all 100% automatically after a user signs up. As for those tags? You can automate them too! In that example above, anyone who subscribes via Form 1 will automatically be tagged with Lead magnet 1. This way, you can easily segment your subscribers and use that data to create segmented content or sequences, which means better personalization (remember – that also means more clicks and conversions!). Basically, you don’t need to sacrifice any personalization in order to get the benefits of email marketing automation. You can also integrate with a bunch of services for even more detailed automation rules. For example, if you’re using the popular Gravity Forms plugin, you can set up automation rules based on how people submit a Gravity Forms’ form. If you’ve ever sent emails, you know that something as simple as a few different words in your subject line can have a massive effect on the success of an email. So how do you find out what works best? People’s inboxes are busy. That means sometimes they just flat out won’t see your email, even if you did everything right. ConvertKit helps you stop that from happening with its unique Resend to Unopens feature. With this feature, you can resend a specific email to only users who didn’t open the first email. That way, you avoid annoying people who saw the email, but get another chance to connect with people who missed it. You can even change the subject to have a better chance on your second go around! I’d like to state one thing that if you’re looking for drag and drop email templates, ConvertKit is going to disappoint you for the good. Like me, ConvertKit team also believes, that email templates cause a LOT of distraction and often highly customized emails don’t get read. On the other hand, plain emails (of course with text formatted and images support) get a higher rate of response from subscribers and that’s what ConvertKit aims at. You can see this trend of using simple emails in emails from pro bloggers like Neil Patel, Pat Flynn etc. I wouldn’t mind going against the trend for something that helps my subscribers, and brings more conversions for me. You, my friend, have to still decide if you want to go with ConvertKit’s simple email templates or fancy ones that don’t convert. 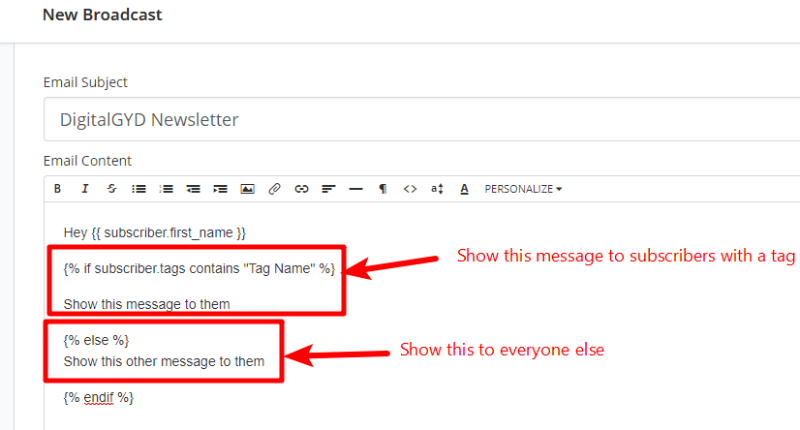 Sending effective, automated emails and sequences. But how do you actually know if everything you’re doing is successful? Apart from these, you can of course, view detailed stats for each email including their open rates, link clicks, split test results of subject lines etc. Built-in campaign tracking for ConvertKit landing pages & formsConvertKit includes built-in campaign tracking for your landing pages and opt-in forms. 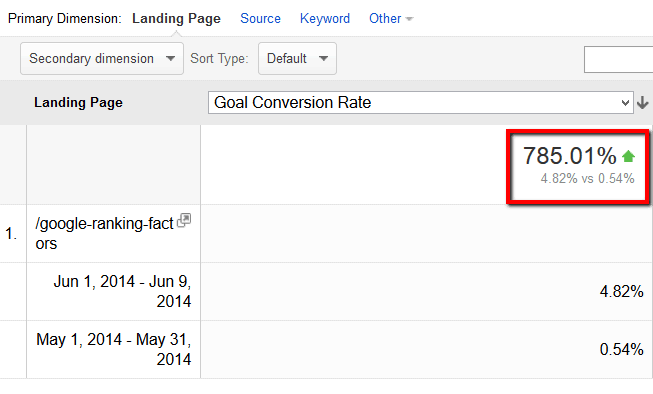 Ever wondered whether specific traffic is more likely to sign up your list? Sure, you could track that through Google Analytics – but it’s complicated and requires digging into Google Analytics Events. With ConvertKit, all you need to do is append “?ref=campaign_name” to the end of any landing page or form URL and you can instantly see which traffic sources lead to the most subscribers. And, that means you can focus on the areas that get you the most subscribers! ConvertKit’s cold subscribers are the ones that have not interacted or engaged with your emails over the span of last 90 days. ConvertKit let’s you tag them to a separate list to either delete them and save your list size or use that data to re-engage them by deploying a new ConvertKit sequence catered towards it. ConvertKit Pricing Review: How Much Does ConvertKit Cost? Wondering what is the actual price of ConvertKit email marketing service? With all its powerful features, you might be expecting ConvertKit to cost an arm and a leg. What do you get with your ConvertKit plan? Is everything unlimited? Is there a catch? When you compare that to other email marketing service providers, ConvertKit is pretty affordable. For example, Campaign Monitor also costs $29 per month for 1,000 subscribers but with a 12,500 email limit, whereas ConvertKit lets you send unlimited emails. ConvertKit is definitely the best value for money with the features it offers. However, if you’re starting out, this might not help you. The lowest plan of ConvertKit starts at $29 per month which is pretty much the industry standard (and definitely a LOT cheaper than ConvertKit alternatives like Drip, Constant Contact etc.). However, not all bloggers can afford to invest $29 per month on their email service provider. For them, a cheaper alternative would be, going the GetResponse way (read my GetResponse review here) or MailChimp (which offers nothing as compared to ConvertKit). ConvertKit is build for bloggers/marketers/podcasters & creators so it feels like home. It lacks very detailed analytics features. Provides a 30 day free trial but I’d want it to be like free for 100 or 500 subscribers so that newbies can try it, use it and then upgrade if they benefit from it. ConvertKit Support Review: How Is ConvertKit’s Customer Service? ConvertKit’s customer support is one of the top notch services you’ll ever find. They help you, but they care for each customer even more. They’ve listed, on their mission page, that their only unfair advantage over other ConvertKit competitors is that they care about their users. From support, to developing features that help the users do more, everything they do it motivated by this care. Live chat, faster email response times are something that impressed me. 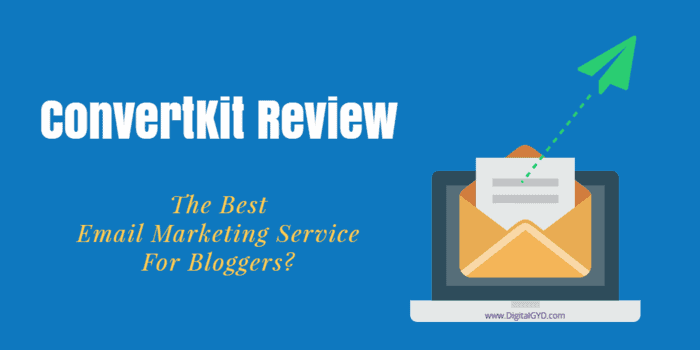 ConvertKit Review 2019: Is ConvertKit Worth Your Investment? So, what do I think after reviewing ConvertKit? I tried them, was impressed and am seeing a great ROI. They’re one of the greatest email service providers I’ve seen in this range. If you have a budget of $29 per month or have a solid strategy do build an audience that you can personally connect with and sell to, you should definitely try out ConvertKit. ConvertKit tags are a great way to separate users based on interests, it is like you know each subscriber and needless to say, selling becomes much more easier when you know what your audience needs or how they feel about something. If you want to try the email marketing service that smart bloggers like Leo Babauta, Pat Flynn of Smart Passive Income use, click below to give ConvertKit a try! In this ConvertKit review, I found that if you're looking for an email marketing service that let's you get more out of your list by categorizing them based on their interests, automating sequences so that you get passive ROI and grow your list with free landing pages, then ConvertKit is your thing. It is affordable and perfect for every blogger & content creator may that be a momblogger or fashion & lifestyle blogger or a food blogger for that matter. Check it out! This sounds like a really useful email marketing tool. I had little knowledge of Convertikit before reading your post, but I will certainly look into it further. The email list building tool sounds extremely handy! This is a really helpful review. I have never heard of Covertkit but this sounds like it could be really useful and helpful. Thanks for sharing this. Thank you Ellie, I hope you use it to boost your list building game! My friend told about the good benefits of this Convertkit and it really catches my attention to check it out. This is really helpful with my blog. I currently do not use any email marketing. I’ve been told many times I need to start. Convert Kit looks like it is the best way to handle email marketing! I have never heard of Coverkit before but it sounds so interesting. All the features look so useful, I have been thinking of working on my newsletter for my subscribers, thank you for the detailed review. Cool! Let me know how this goes! Thanks for the comment. Yes, I do think Mailchimp is pretty hard on the user experience side and also on what it offers to do more out of your subscribers. Having said that, creating an RSS driven newsletter in Mailchimp is easy and the last time I did it 3 years ago, was working. Here is a tutorial you might want to try till the time you get your hands on ConvertKit. I had never heard of it or used ConvertKit. Must look into it because I am full geared up to revamp my email list building game in 2018 … Thank you for the review of ConvertKit. I have heard a lot of things about this Convertkit and you really gave me the best explanation for it.I think I need to try this out soon. I am looking for a good email management plan for my list. I will check this out and see if it’s better than my current solution. Hi Alicia, feel free to try ConvertKit as your email list building tool. May I know what email autoresponder tool you’re currently using? Hi Bea, you should definitely consider this. Even if not ConvertKit, segmenting your subscribers based on what posts they like, what topics they respond to your blog can help you better serve them and thus more revenue and loyal subscribers. I have heard about Convertkit but I didn’t actually use it. The form building feature sounds very useful, especially that you can design it exactly how you visualise it. I am with another provider now but convertkit looks soooooo cool! The fact that I can customise so many things make it look really professional. 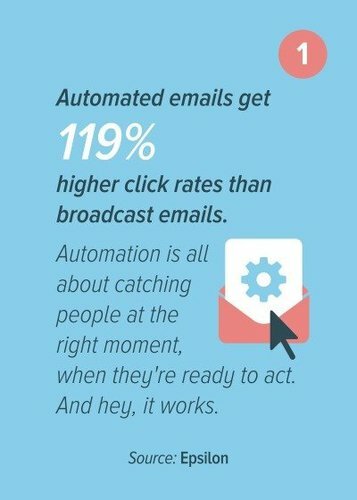 And it’s certainly true that automated emails get more clicks than broadcast emails. Maybe I should get my hands on convertkit soon! This is insanely helpful, I don’t really do any email subscriptions on my blog simply because I do not know how but I know it can be such a good way to build a subscriber base, I am going to bookmark this guide to email marketing with ConvertKit and will try it out when I have time, you’ve made it all seem a lot less scary! Thanks for this list building guide it will help me get started.